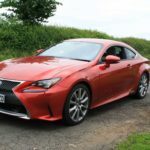 Lexus is better known in the UK for their SUVs, large saloons and hybrids, but they’re determined to crack the sports car market, and the Lexus RC F Coupe 500 is their latest effort. 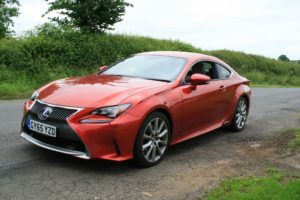 The Lexus RC F Coupe 500 is a muscular Coupe and indeed could be the sports car the brand have been trying to perfect for years. Similar to a BMW M4, it’s certainly got the pizzazz to capture the imagination. Let’s take a closer look at what it offers. The 4th generation of the fabled Lexus LS is, as always the flagship in the Lexus line up which serves as a showcase for the best tech Lexus has to offer plus exceptional levels of refinement and detailed luxury. This revised model the Lexus LS is an improvement on its predecessor with the reintroduction of V8 power. It isn’t an obvious choice within the large luxury saloon segment, but that might just be exactly the reason the new Lexus LS might be a great choice to buy or lease. 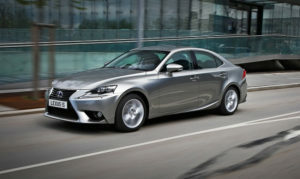 It’s too easy to ignore the Lexus GS in a sector swirling with BMWs, Mercedesand Audis’. Too easy, but also detrimental to the consumer. You see, the new Lexus GS is a much better proposition than people seem prepared to give it credit for. Marginalised due to the reputation of its dominant rivals, it’s a car that simply has to stop going unnoticed. The Lexus CT hatchback was first unveiled back in 2011, when it shook the automotive world simply because it was the first fully-hybrid luxury hatch. It was relatively inexpensive, and appealed to a new demographic of buyers. BMW and Mercedes quickly pricked up their ears and set about developing (pricier) contenders. Which then meant Lexus had to come up with something even smarter, more refined and more efficient. Have they succeeded? Let’s find out with our review. Great car lease deal on a brand new Lexus CT200h for just £229.00 + VAT per month for a solid colour or £239.00 + VAT for metallic. Based on a payment profile of 6+23, allowing for 10,000 miles per annum, however, this can be adjusted to suit your personal requirements. Vehicles are in stock and available for September delivery. To secure yours, call our team on 0844 686 4000. If a Lexus lease is not for you, we supply all makes and models so we can be sure to get the right vehicle for you. 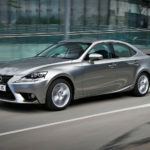 Lexus has been named top manufacturer in the 2013 Auto Express Driver Power survey, returning to the number one spot after four years as runner-up. The results, based on the opinions and real-life experiences of more than 45,000 UK motorists, reflect the special quality, owner-appeal and performance of Lexus models. Steve Fowler, Auto Express editor-in-chief, said: “Lexus takes a well deserved top spot in the Driver Power 2013 manufacturer chart. It finished first in three out of the 10 categories in our survey, and second in two others – a hugely impressive result. Richard Balshaw, Lexus Division Director, said: “We’re delighted to have earned this award again, the competition becomes tougher every year.